Brother Jesse Blog: A Day of Blogging for the Scott Sisters...Black blogosphere stand up! A Day of Blogging for the Scott Sisters...Black blogosphere stand up! 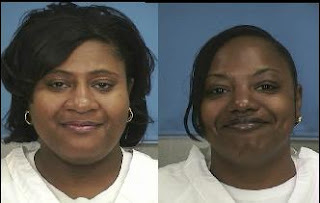 If you’re not familiar with this case or just need more details please visit Mrs Rasco’s site:http://www.freethescottsisters.blogspot.com. This is exactly why the systems of this world must be replaced with a world built on Freedom, Justice and Equality.